The curators of the Carlo Ratti/South China-Torino Lab (Politecnico di Torino-SCUT) team, are pleased to announce the Open Call for proposals to participate in the “Eyes of the City” exhibition section in the framework of the 2019 Shenzhen Bi-City Biennale of Urbanism\Architecture (UABB). They invite international architects, planners, designers, philosophers, thinkers, scientists, companies, educational institutions, research laboratories, think-tanks and students to submit their proposals from April 1st to May 31st, 2019. The Open Call will accept proposals for design projects, research projects and critical essays that will form the core of the “Eyes of the City” exhibition, that will be hosted in UABB’s main venue. After selecting the proposals for the exhibition, the curatorial team will further discuss and develop them along with the candidates in light of the main exhibition as a whole. The overarching theme of 2019 Bi-City Biennale of Urbanism\Architecture (Shenzhen) is ”Urban Interactions”. Chief curators for this year’s UABB are Architect and Director of MIT Senseable City Lab Carlo Ratti, CAE Academician Meng Jianmin and art critic Fabio Cavallucci. Under the theme of ”Urban Interactions”, there are two parallel sections, namely ”Eyes of the City” and ”Ascending City”, both exploring the evolving relationship between cities and new technology. The ”Eyes of the City” section features Carlo Ratti and Politecnico di Torino-SCUT as the curatorial team, while the ”Ascending City” section is to-be curated by Meng Jianmin and Fabio Cavallucci. The following Open Call is issued by the ”Eyes of the City” team. 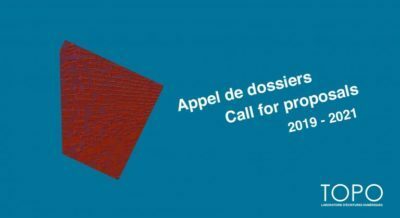 Applicants can submit material for one or more types of contributions (Call for Design Projects, Call for Research Projects, Call for Papers), though they are strongly encouraged to choose only one of the three. In her original conceptualization, Jacobs used the “eyes of the street” as a tool to dissect a series of key spatial concepts – from the distinction between private and public space, to the limits of urban anonymity, to how borders are expressed and constructed, to the value of safety and the sense of belonging. Tomorrow’s “Eyes of the City,” fueled by historical breakthroughs in AI, from facial recognition to natural language processing, compels us to challenge all of these concepts, while also addressing novel issues – factors like the ethics of technological agency, the meaning of urban observation and design by proxy, the power of data ownership, and the ways in which technology can be re-appropriated by individuals and communities. What can the consequences of the “Eyes of the City” scenario be on the built environment and on the way people live it? The “Eyes of the City” exhibition at UABB will ask exhibitors to tackle these themes, while focusing on two parallel relationships: the one between space and users and the one between space and design practices, as the latter change under the pressure of technological advancement. 1. How will the new technological scenario change people’s behavior in the city? How will this articulate the relation between human body and urban space? 2. How can communities interact with and re-appropriate new technology? 3. How do design practices evolve in this context? What is the relation between creativity and increasing automation? 4. What are the most relevant spatial, social and ethical consequences of innovation processes driven by AI? 5. How can designers and citizens harness the power of real-time data in novel ways– especially to foster architecture’s ability to respond to people’s needs? The main venue of the exhibition, the Futian underground high-speed railway station in the city of Shenzhen, acts as a clear counterpart to the wider implications of the curatorial approach – both the exhibition design and the location itself will be symbolically connected to the curatorial theme, “Eyes of the City.” Railway stations are historically associated with the ultimate anonymity of the urban experience, places in which people experience a characteristic set of feelings: isolation and loss of identity, but also freedom that stems from indifference, and even a degree of moral freedom. In other words, railway stations have a long-time association with the archetypes of the flâneur, the urban wanderer, the mercurial stranger. With new technologies and AI in particular, this might change. Railway stations, as urban gateways, at national borders, might soon become places where the ability of the built environment to respond to one’s presence is showcased in the most powerful way. The main exhibition design will reflect on this concept, setting the stage for a series of experiences that explore some scenarios of the digitally-augmented city. The area within and around the main venue will be redesigned so as to foster new relations between people and urban space. The general aim of the design intervention is to improve connections with the city while at the same time allowing new interactions to flourish in this logistic non-lieu. The positive effect of such a broader web of synergy and connectivity will start with the Biennale but ideally last even after its conclusion.